This is such a simple and easy dish. The most important, it is delicious! I like that the pasta reheats well the next day, this easy dish is enough for two meals in our house. -Cook pasta according to the package directions. 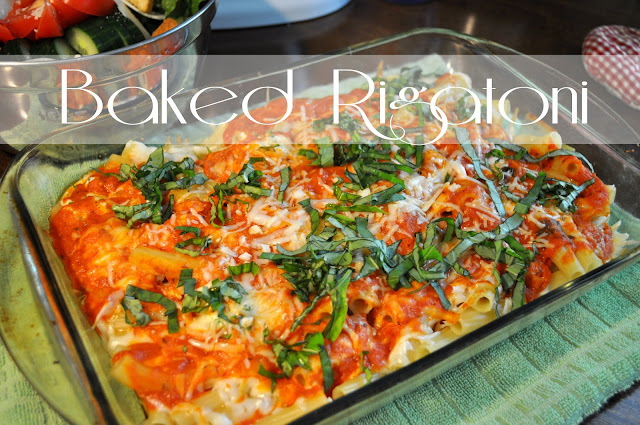 -Take your baking dish and spoon a few TB of the pasta sauce. -Add a few dollops of ricotta over the pasta, add 1 cup of mozzarella, 1/2 cup of romano and 1/2 cup of asiogo. 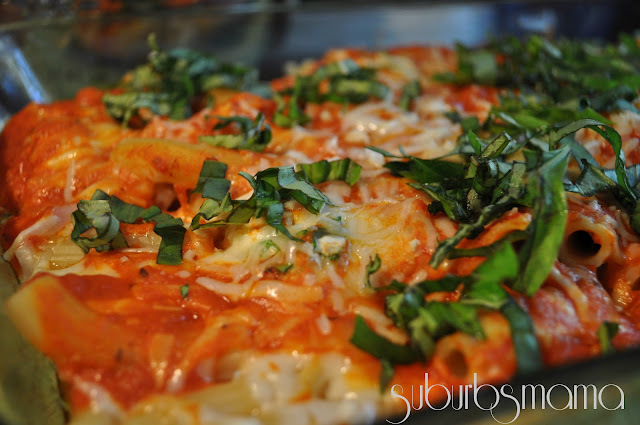 -Then spread the rest of your pasta over and layer with the rest of your pasta sauce and cheeses. -Preheat oven to 360F and bake covered for 25 minutes, then remove the foil and bake for another 15 minutes.